If you like your death metal tinged with ancient Egyptian history then you don’t want to miss Nile when they play the Baltimore SoundStage on Tuesday, April 15th. And since April 15th is the day everyone’s taxes are due we thought we’d cut you a break by giving a pair of tickets to this show to one of you DCHM fans! To enter: leave a comment on this post telling me which song from Nile’s entire discography (see it here) you want them to play the most! At 5pm EST this Friday, April 11th, a winner will be chosen at random (using Random.org) from all valid entries to receive two tickets to the show! Be sure to use a valid email you check regularly so I can contact you if you win. Don’t worry, I won’t add you to any spam lists or sell your info or anything sleazy like that. If I haven’t heard back from the winner in 24 hours another winner will be chosen at random. If you can’t wait to see if you win, or the contest is already over when you read this, then you can get tickets right now for $16.50 from Ticket Fly here. Now before you think this is just another Nile tour you should know that the band has stated (here) that they will be playing an extended set and will be performing several of their songs for the first time ever in front of a live audience! So tell me, what Nile song do you want to hear them play live at this sure to be epic show? And let’s not forget that while Nile isn’t touring with anyone there will be killer sets by three local bands: Metanium, March To Victory and Exemptus. Check out these classic Nile tunes and leave a comment telling me which Nile song you’d like to hear them play at this show! 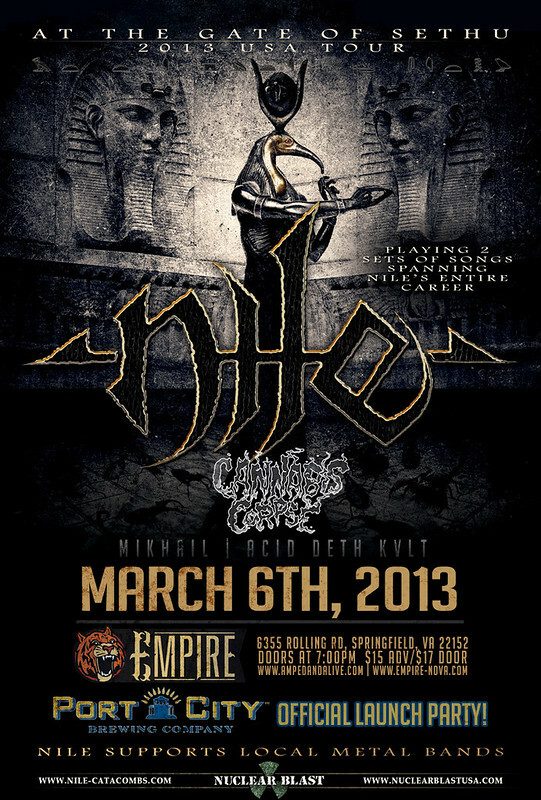 South Carolina’s masters of death metal, Nile, are playing on Wednesday, March 6th, 2013 at Empire in Springfield, Virginia. On this tour Nile will be playing two full sets of songs spanning the band’s entire history to celebrate their 20th anniversary as a band. 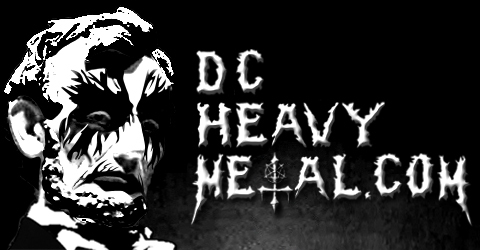 This show is not to be missed so DCHeavyMetal.com is going to give away a pair of tickets to one of you lucky readers. To enter, just leave a comment on this post telling me which song from Nile’s entire discography (see it here) you want them to play the most! What will you pick? Maybe Lashed To The Slave Stick or Black Seeds Of Vengeance or Unas Slayer Of The Gods? That song with the really long title that starts with the word Papyrus? Nile has so many classic songs to choose from! On Friday, March 1st at 5pm EST I’ll pick one lucky winner from all valid entries at random (using Random.org) to win the pair of tickets. Please don’t enter if you cannot attend, I want to make sure the winner gets to see this killer show. Be sure to enter with a valid email address you check regularly so I can contact you if you do win. Don’t worry, I won’t add you to any email lists or anything like that, I hate spam too. If I haven’t heard back from the winner in 24 hours another winner will be chosen. If you enter more than once then all of your entries will be disqualified. If the contest is over when you read this or you simply can’t wait to find out if you won the tickets you can buy tickets from Amped & Alive for $17 here. 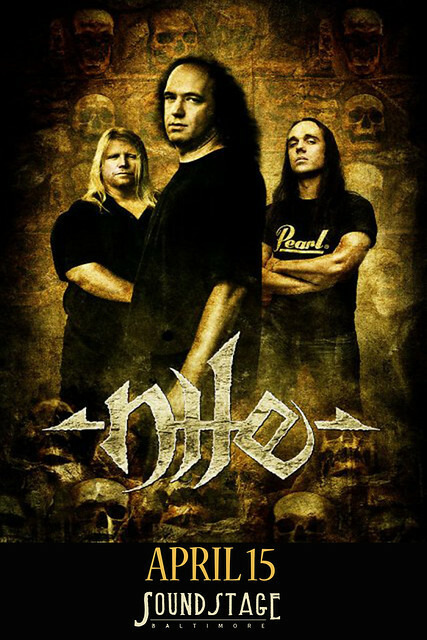 Nile has bee playing their technical style of death metal, led by guitar virtuoso Karl Sanders, for 20 years now. In that time neither the band’s aggressiveness nor obsession with ancient Egypt have waned. You may remember Amon Amarth similarly performed two sets like this in 2011, however, they spent one of their sets playing their newest album straight through. Nile will not be doing that and instead will be playing a double set retrospective of their career. Nile has also made it clear that they want to support local musicians on this tour so they will have local bands playing each of these shows that will be different in each city. For the show at Empire we get Cannabis Corpse, a Richmond based death metal band with weed themed songs that parody famous death metal songs by bands like Cannibal Corpse, Morbid Angel and Deicide. The band features Land-Phil Hall of Municipal Waste fame on bass and vocals. There will also be sets by locals Mikhail and Acid Deth Kvlt (you can give them a listen by clicking on their names). Well check out these recent videos by Nile and Cannabis Corpse below and leave a comment with what song you want to hear Nile play the most in their retrospective set!